There are always hidden costs when taking a trip, or moving to a new country. There is always OBTW’s –“Oh By The Way” (incidentals that were unforeseen). People are human and make mistakes. People at Nefesh B Nefesh go on vacation and your file sits on their desk. People forget to respond to your email because they are in a different time zone. People quit their job and you get passed on to a “new” person who doesn’t know what they are doing. People give you one answer and then change it later. Apartments that were rented four months in advance have pipes break and leak all over your new home. Ruined plaster and peeling paint with a horrid smell await you. There is a landlord that has never had a tenant ask him to fix anything because he is a slumlord and his clientele has no standards. He looks at you with curiosity because he knows you are an American Jew and he thinks you have class, dignity and poise. You are an enigma to him and he doesn’t understand why you would lower yourself to live beneath your accustomed living requirements. I knew it was a dump. I thought I could fix it up and perhaps even purchase it- I’d restore it to a beautiful icon of old Jerusalem stone. I cannot piss away the money I have reserved for this expedition. Is that was this is? An expedition? No. This is my home. This is my life. These are my people and I am not going anywhere. Why the does a privileged American Jew, a woman of status in her community, an academic in Judaic studies, an arts patron, living in a pampered existence leave it all behind for a piece of crap? Because this is what I am suppose to do with my life. I am supposed to to return to myself. I am not discovering a new Kara- this is the Kara I have always been deep down. I do not need money for this. That would be the point entirely. As a Buddhist I learned that the root of all human suffering is attachment to the impermanent. It is the expectation of a particular outcome that destroys us all in the end. I want to strip all that I am away and get down to the bare nakedness of my soul. The only way to do that is to free myself of the trappings. But what does Israel have to do with this? Couldn’t I have pulled an Elizabeth what’s her name- Eat, Pray Love type thing? Couldn’t I have gone to an Ashram in India or something for a few months and achieved this? This is about my identity. This is about accepting and embracing my Jewishness. Couldn’t I do that in the U.S.? I am an American Jew like so many others. No. Not going to cut it. I want to become the essence of everything it means to be a Jew. This includes living in the land of my ancestors in our ancient home. This means becoming Israeli. This means acknowledging through actions that Israel is holding the door open for us. The Jewish state was created for whom? For us, for Jews. I want my Jews to understand and accept that this is a very old love story. It is the realization of the connection between a peoplehood and their land. I am part of that nation; I am part of that land. 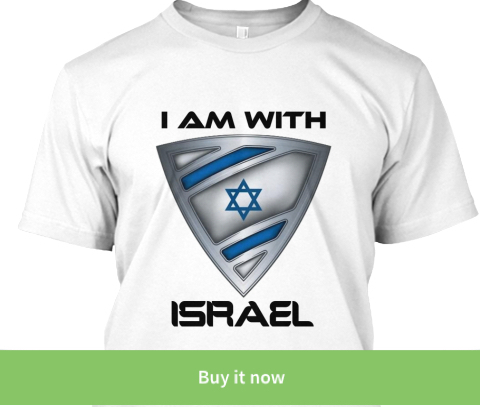 I am Israel. Israel needs her Jews. Israel has a battle to fight. It is the same one she has been fighting since the beginning. This place is the beginning of everything. The only way for Israel to be “a light unto the nations” is for her Jews to return home. We must as a peoplehood embrace one common thing we all share: Identity. I don’t care about politics or religion. I don’t give a damn if you are secular or religious. Stop being so myopic. Judaism is one facet of our peoplehood. It is the religion of the Jewish people. Some choose to practice it as such; some observe tradition as a means to honor our culture. Yet there is one thing we can all agree on: Identity. We have a shared history. We have a shared tradition. We have a unique culture. This is the litmus test that defines what a peoplehood is. If you are a Jew, you are a part of this. When I am in the presence of a Jew who understands this- the string that runs through me begins to vibrate. That vibration is intensified when I am standing on this land. Why? It is because there is a common thread that runs through Israel and it runs through every Jew; it runs through me. I am here because I am the blood of Jacob. I am the daughter of Queen Esther. I am the remnant of the Hasmonean Dynasty. I am the descendant of Maccabees. I am the living, breathing existence of an unbroken chain defined by a covenant and an ancient textbook. I am the trace of Sinai. I am here to push every Jew on the Aliyah fence over. 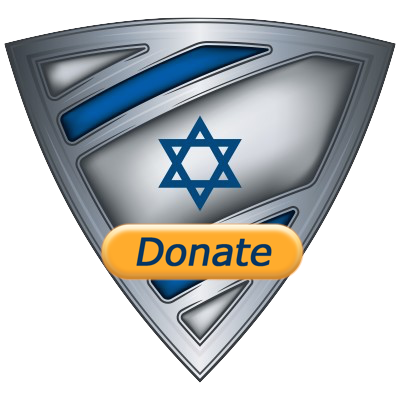 If you want Israel to thrive, it needs you to participate. Invest in Israel. Invest in the land. Invest in her future. I am a nationalistic Jew. I am a Zionist Jew. I will never be afraid of my own home. I will never be afraid of our enemies. I will help you break the secret Aliyah code.